The uncertain future of copyright in the on-demand age. It all began in the 1980s. The days of buying software, movies, and music albums on nifty plastic discs are about over. Soon media will be obsolete. Content—streaming and on-demand delivery of entertainment and software—will reign supreme. When consumers access one of these, they will do it over the internet, and when they buy a copy, it will increasingly be stored on remote servers (more popularly known as the cloud) that are accessed online. Yes, some people are still buying DVDs and even CDs, but they’re swimming against the tide. In the near future, they will find themselves struggling to find a CD or DVD player that isn’t marketed as “retro,” like buying a turntable today. The major software publishers are so committed to cloud computing that they have either integrated their software with internet services, such as Microsoft Windows 10’s OneDrive, or stopped selling copies altogether, as Adobe did when it moved its Creative Suite publishing software (including Photoshop) entirely to the cloud. Web-based services like Netflix for movies and television, and Steam for video games, dominate the entertainment market, and even streaming music through such services as Spotify might someday replace downloaded MP3 files. At first glance, this might seem like unalloyed progress. No more worries about losing installation discs. No more stacks of movie and video game DVDs to store. No more trying to resell that pop CD you bought for that one song you liked, only to discover that it was the only decent tune the band ever recorded. Best of all, you can access your content wherever you go: on your tablet, smartphone, or anything that can read a flash drive or access cloud storage. But technological advances are not the only thing driving this trend. Economics and law do as well, and these dull the pixels’ glow a bit. 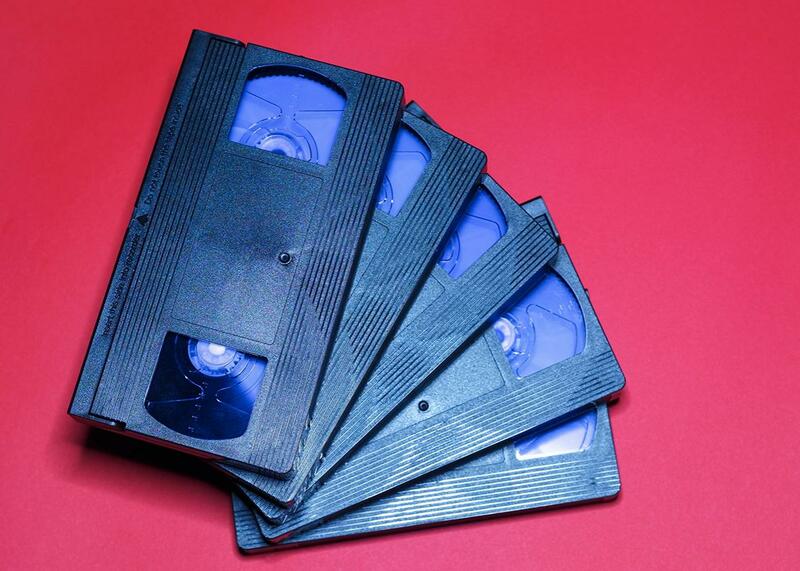 It all began in the 1980s, when software publishers and movie studios had to confront the problem of people buying a movie on VHS cassette or software on a floppy disc and then making copies for their friends. The technologies of the day did little to prevent consumers from making illegal copies. In the 1984 “Betamax” decision in Sony Corp. of America v. Universal City Studios Inc., the Supreme Court held that companies manufacturing videocassette recorders were not responsible for copyright infringement, because a VCR could be used to make entirely legal as well as illegal copies. For example, recording a show to watch it later did not qualify as copyright infringement, because the consumer was merely shifting the time when he viewed the show. Of course, this meant that a consumer might also use the VCR to make illegal copies for sale to others, but in that case the consumer had committed copyright piracy; the VCR manufacturer was off the hook. Fast-forward, as it were, to the advent of digital technology and the internet, which make it far easier to implement technological obstacles to copying, such as passwords and remote access restrictions. These techniques, known as digital rights management (aka DRM), are now ubiquitous. Most digital content now has sophisticated copy protection integrated. But any protection can be hacked given enough time, and the main users of digital software and media content—the young—have the time and incentive to do just that. And so, rather than relying entirely on DRM to protect their rights, the content industries turned back to law. Thanks to the Betamax case, they could not shut down the manufacture of all ways consumers could copy their content. Instead, they turned to two legal strategies. The first, originally used by software publishers but now common for all internet-based services, is the practice of including license agreements, which are contracts specifying what rights consumers have with respect to the software or service. Increasingly, these agreements have restricted traditional ownership-type rights—such as the right to alter the software to meet the consumer’s needs, to install the software on the same computer multiple times (if, for example, the storage drive had to be reformatted or replaced), or to resell the software if the consumer lost interest in it or a newer version was published. By the late 1990s, it began to look like consumers didn’t own the software the purchased: They were really using it at the sufferance of the copyright owner, under terms only the copyright owner knew and could control. Some courts let them, interpreting the software license as meaning that the consumer didn’t own the copy at all. This is the situation today. Congress has never yet amended the Copyright Act to protect consumer expectations from self-serving license terms, some three decades after the problem first arose. The second method companies used to win back control was through the Digital Millennium Copyright Act, adopted in 1998. This law made it illegal to try to circumvent DRM technologies on copyrighted materials such as software, movies, and music. While there’s nothing objectionable in prohibiting hacking that results in copyright infringement, the law doesn’t simply prohibit circumventing DRM in order to make illegal copies. It also bans circumventing DRM even to do things the copy owner is entitled by law to do. Using DRM, a copyright owner can now turn you into a criminal for exercising your legal ownership rights. For example, most video games you bought five or 10 years ago now require you to connect to an online service to use them. No internet? Too bad, your copy is useless. Don’t even think about altering the code to allow you to play the game anyway. And if you replace your computer’s storage drive and try to install an office software suite, the publisher might deny you the right, claiming you are trying to install the software on “too many computers.” The next 20 minutes of your life will be spent in a phone queue, hoping the publisher gives you permission to install your own software on your own computer. With the move to cloud computing and streaming content, the concept of “copy ownership” is now disappearing from entertainment as well. Software, motion pictures, and even music are increasingly a service provided to you. Streaming services and cloud content have their own worries. For example, what happens when you’re traveling somewhere with no reliable internet access? What happens when the service provider’s servers go down for days and you are paying for a service you are not getting? But the problems run deeper. The loss of ownership sends copyright law out to sea. The Copyright Act dates back to 1976, and despite occasional amendments, it still ties almost all your rights as a consumer to ownership of a copy. It was written mainly to define the rights of copy owners; people receiving a service have few clear rights. As a result, the copyright owner benefits from all the protections it always had, but your consumer rights depend almost entirely on service and license agreements that, most likely, you never read and couldn’t fully understand if you did read them. That means whether you are entitled to replay parts of a streaming movie that you missed when the phone rang, for example, depends entirely on Netflix or Hulu. It also means that you cannot customize the cloud software you are accessing without explicit permission of the publisher; you have no right to recover any of your fees if the content you are receiving is faulty or just plain bad; and you might not be able to make a backup copy of a streamed song for that week of camping out of internet range. As things stand, in case of abuse, your only recourse is to hope that courts will nullify that contract term, and there is no guarantee that they will. So we live in a chasm between the old product-based copyright law and the newish reality of cloud computing, streaming on-demand content, and content-as-a-service. Until Congress passes a new “Digital Services Copyright Act” of some kind to defend legitimate consumer expectations, the software and entertainment industries are holding all the virtual poker cards. This article is part of the future of ownership installment of Futurography, a series in which Future Tense introduces readers to the technologies that will define tomorrow. Each month, we’ll choose a new technological issue and break it down. Future Tense is a collaboration among Arizona State University, New America, and Slate.